Can anyone tell me, how do i put my logo picture on the left, and my navbar on the right? Then take a look at this project… this navbar is on the right… But i dont know how? Basically, now that you have display:flex; on the header, use margins on the logo and nav containers to push them around inside the flex. okay i somehow managed to push navbar to right, but can you take a look at footer? both the ul and the span in your footer are flex containers, set to flex-end. That is what is right-justifying everything in them. What exactly do you want the footer elements to be doing? yet, his footer is on the right, and mine is still on the left. His is different, because he’s using a CSS preprocessor. 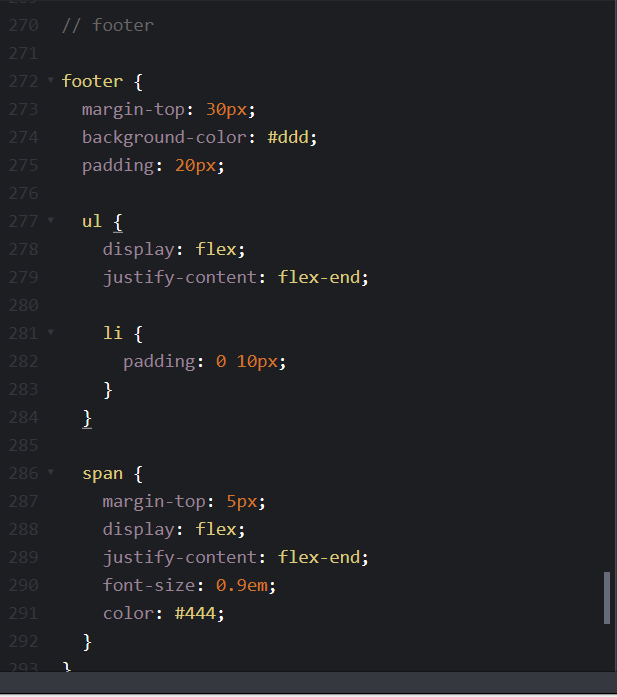 Take a look at the title of the CSS tab on his – do you see CSS (scss) up there? It’s CSS-ish. Yours is straight CSS, which doesn’t allow for nested CSS selectors. ihope i solves your problem man , and thx for helping us to learn with you . True, but the question was why the same css on two codePen yielded different results. In one, the author used an SCSS pre-processor, which allows nested styles, andd will exand theem out exactly as you suggest. 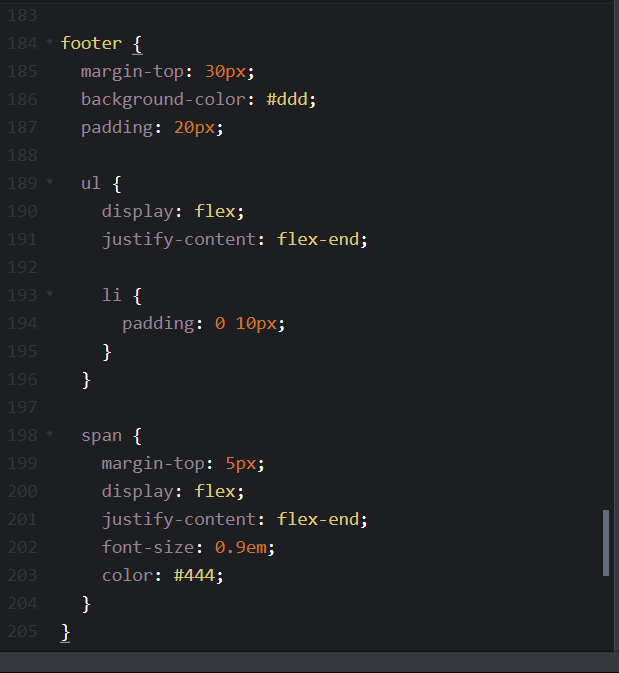 Css is kind of limited in what you want it to do right? There are far fewer limits to what css can do than most people think. Within its intent, CSS is pretty darn powerful. Generally I find that it isn’t a shortcoming of CSS that’s the problem – it’s a lack of knowledge on my own part.